Following the success of the inaugural Meet d3 last year, Dubai Design District’s annual festival returns for a second year, from 8th-10th December 2016. The festival aims to bring together a broad cross-section of design, art and culture in celebration of the city’s rich array of creative talent. Meet d3 will continue the immersive and experiential format introduced last year, and showcases new and more creative expression from various design and multimedia disciplines. 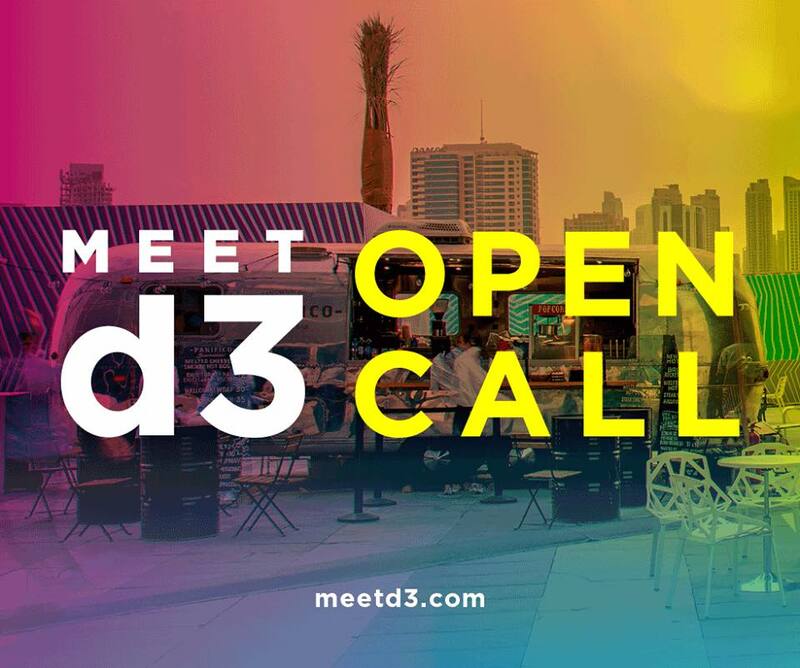 For the second edition, Meet d3 has announced an open call inviting designers, artists, architects, practitioners and creatives based in the UAE to submit proposals for the "Installations" section of the festival. The applications will be reviewed by the Meet d3 curatorial committee, their selection will be based on the strength of the proposal and how it resonates with the spirit of the festival as an immersive and interactive event. The application deadline is 31st May 2016. Apply here. Whether large-scale or ethereal, a nod to the contemporary or historical, the Installations section will encompass a dynamic range of design and artistic medium including painting, sculpture, video, photography, architecture, fashion, digital and other design experiences. I'm glad Meet d3 announced this open call. There are not many opportunities for independent creatives to take part in big events like this, and I'm glad to see Dubai Design District and Meet d3 engage with the local creative community this way. Even though this year's edition will take place during Dubai International Film Festival (7th - 14th December), I hope I get a chance to attend some part Meet d3. I attended all three days last year and had a great time. Look at my photo review here, read about the Andy Wahloo tent (my highlight from Meet d3 2015), and read about my thoughts on Dubai Design District in general.